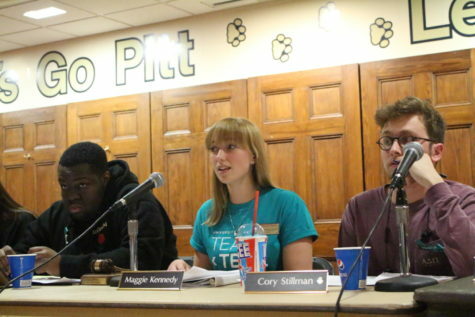 Pitt graduate student employees announced their plan to unionize in January 2016. Pitt faculty and graduate student employees formally announced Tuesday morning their plans to start a campaign to form multiple labor unions. 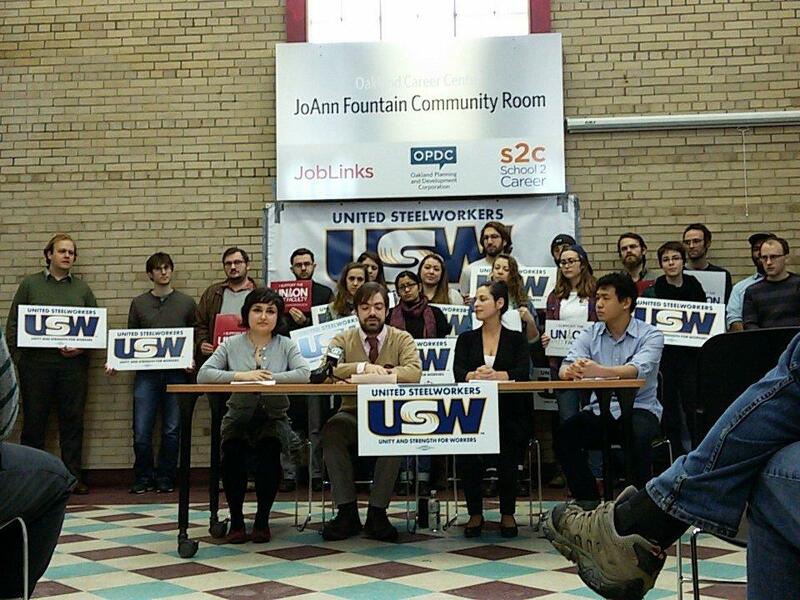 Partnering with United Steelworkers, an organization that has helped Point Park University and Robert Morris University unionize, faculty and graduate student representatives announced at a press conference on Tuesday at 10:30 a.m. that their campaign was officially underway. USW has been organizing two separate campaigns for the faculty and graduate employees at Pitt, but Tuesday marked the launch of both groups’ efforts. 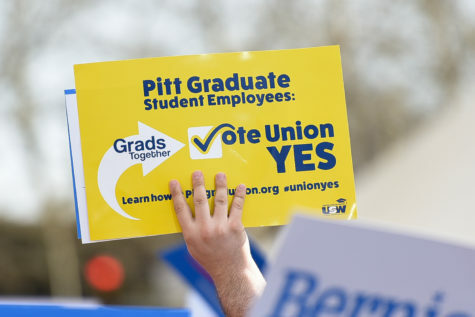 For the faculty and graduate employees to unionize, they must first gauge the level of interest on campus to form a union then apply through the Pennsylvania Labor Board to hold a union election. If more than 30 percent of both faculty and graduate employees sign cards of interest, USW will apply to hold an election at Pitt. Then, a simple majority of those eligible must vote to form a union. The union at Pitt then has the right to collectively bargain for a labor contract with the University. 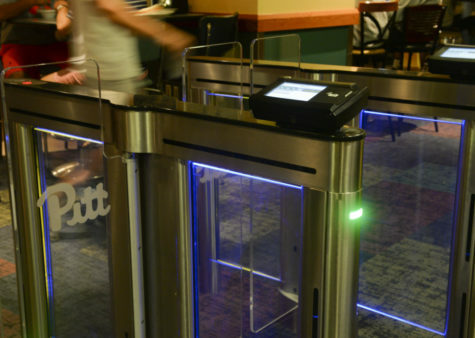 At Pitt, 5,281 faculty members and about 3,000 graduate students are eligible to sign interest cards, though the Labor Board will decide who is eligible to vote in a union election. Maria Somma, an organizer from United Steelworkers, said the faculty and graduate student employees are a long way from sending out cards for the campaign and are still in the process of spreading awareness. 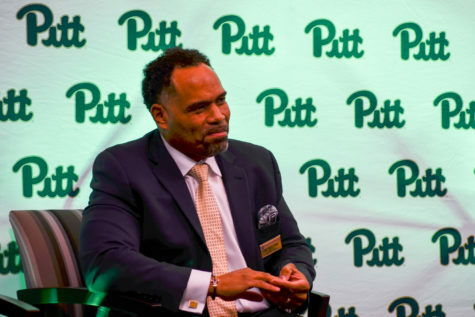 Pitt spokesperson Ken Service said Pitt would work with the faculty and graduate students forming the unions but declined to comment on whether or not Pitt would support their efforts. “We remain confident that the best way to continue to advance our mission is for the entire University community to continue to work together in this cooperative and respectful manner,” Service said in a statement. 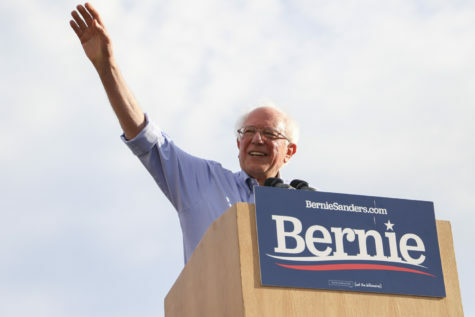 Hillary Lazar, a graduate student teaching fellow, said she does not anticipate any difficulty working with the University but that it is always something to look out for in these types of campaigns. According to Lazar, about a year ago, several graduate student employees joined to form the Graduate Student Organization Committee. In May, the committee voted to work with USW based on its successful endeavors at other universities. Although Lazar could not give an exact number of the graduate students involved, she said they have representatives from at least 20 departments. 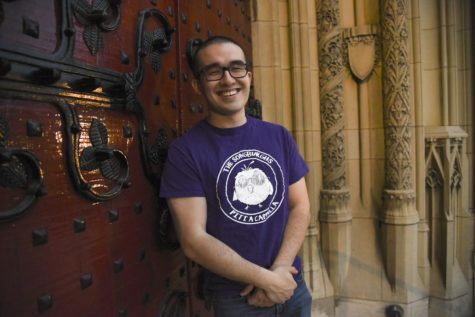 “[The graduate student employees] contribute to the extraordinary teaching and groundbreaking research of the University of Pittsburgh — something we are immensely proud of — but we deserve to be recognized for our indispensable roles,” Lazar said. Citing concerns about tenure for professors, English professor Peter Campbell said he joined the union push, in part, to ensure all Pitt faculty have job security. 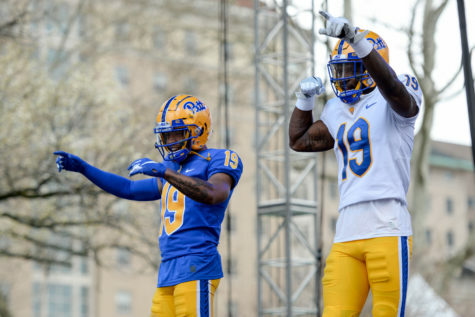 “By forming a union, we can work collectively with the University administration to design effective and inclusive policies that help us be the best researchers and teachers we can be — and we hope [Pitt will] support us and work with us in our organizing efforts,” Campbell said. The ultimate goal is to acquire representatives from every department and every college at Pitt, according to Somma. Somma could not put a timeline on the process but added that Duquesne, another university that USW worked with, took several months to unionize. Back in October, Robin Clarke, a professor in the English department, informally announced the faculty’s desire to unionize. Somma said the faculty campaign was “still building” and that it was important to remember the thousands of workers the campaign is focusing on. 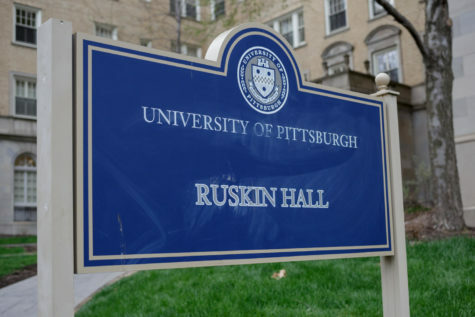 Pitt students have showed support for both the graduate student campaign and the faculty union, hosting events to discuss their grievances and touting a petition of support around campus. 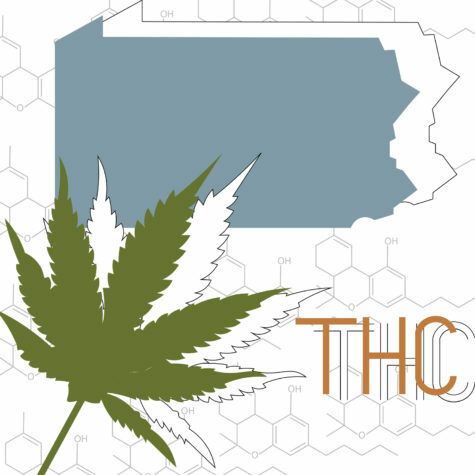 According to Alyssa Lieberman, a junior and columnist for The Pitt News, there are more than 300 student signatures on the petition, and she and other student organizers are working on putting it online to gather even more. Kai Pang, a senior economics and philosophy major and one of the student organizers, said he wanted to help form the union for graduate students because he wanted to stand in solidarity with his teaching assistants. 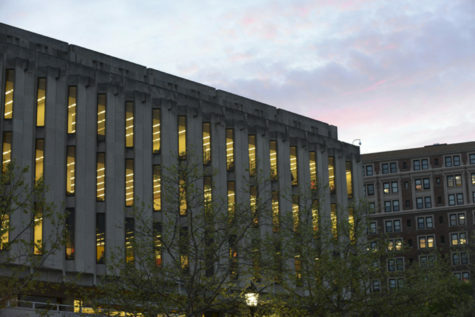 For Lazar, one of the main goals of the union is to ensure all faculty and graduate employees at Pitt get the support they need, including in managing their workloads. Despite potential disputes, Lazar said it was important to remember the graduate student employees want most of all to provide a better learning environment at the University.